Located on the central, western hillsides of Okanagan Lake in British Columbia's beautiful Southern Interior Region, the City of West Kelowna is a visually stunning community in all seasons, its physical landscape dotted with evidence of its rich agricultural history. Vineyards, orchards and farms operate throughout the community, and the municipality is also home to commercial businesses, light industry, and a diverse economy made up of agriculture, construction, finance, food and retail services, light industry, lumber manufacturing, technology, tourism and wineries. To learn more, please visit City of West Kelowna’s website. Reporting directly to Council, the Chief Administrative Officer (“CAO”) is responsible for ensuring that Council policies and programs are implemented, providing information, advice and support to Mayor and Council, and assisting in the development of policies, programs and strategies at their direction. The CAO also assumes full responsibility for City operations and services, providing direction and reinforcement for corporate values while upholding high ethical standards and providing leadership, inspiration and oversight of City staff. 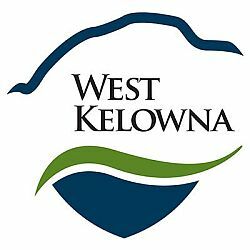 The CAO will direct the overall planning, coordination, and control of the activities and business affairs of the City of West Kelowna, and ensure all corporate objectives, organizational initiatives, and goals are achieved in accordance with approved Board policies and budgeted resources. The CAO will also maintain a focus on timely, responsive, and exceptional customer service, guiding the operating methods and procedures of the administration such that they are in firm alignment with the core values and objectives of the Council and the City. Sound knowledge of the Community Charter and Local Government Act.